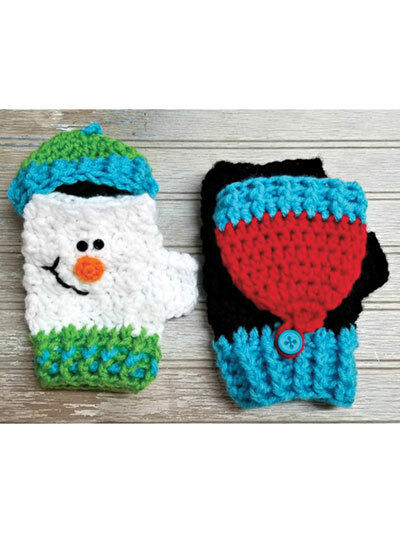 Stitch fun hand warmers for the entire family! 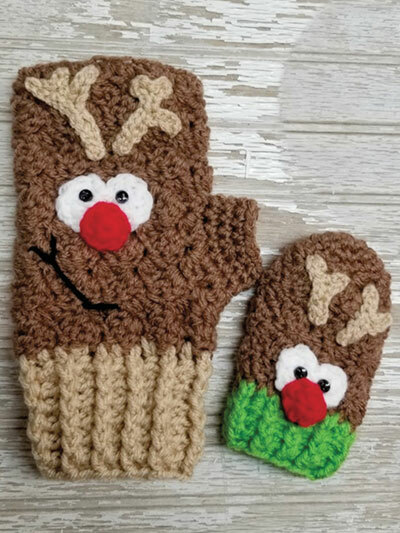 Pattern includes instructions for thumbless mittens, mitts with open tops and thumbs, and mittens with enclosed fingers and thumbs. 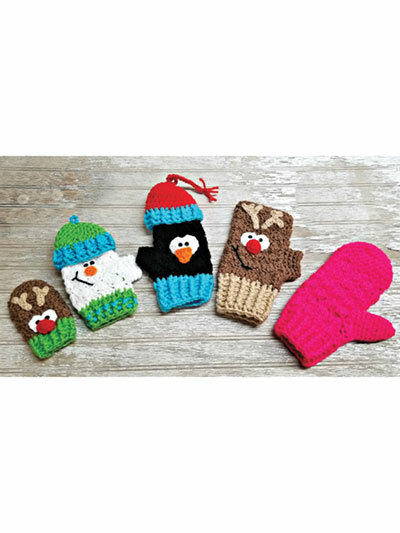 Each design is made using worsted-weight yarn and embellished with buttons or light-weight yarn. Sizes: Baby/Small Toddler, Toddler, Child's Small, Child's Large/Preteen and Teen/Adult.